From work to play and everything in between, Wiley X Ignite sunglasses were built to withstand your active lifestyle. These Wiley X sunglasses feature a sleek wrap around frame with thick temples, designed to block out the sun's harshest rays and protect you from any dirt that may come flying your way. Wiley X Ignite sunglasses feature a no slip grip and surpass ANSI safety rating standards. 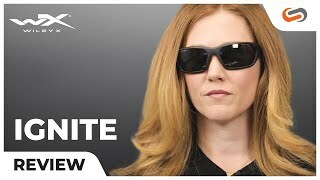 If you need a pair of Rx sunglasses to cover you in all aspects of life, you can't go wrong with a pair of Wiley X Ignite prescription sunglasses.